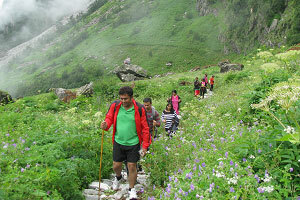 How to reach Valley of Flowers? : Reaching Valley of Flowers from Delhi takes minimum of four days which can be explained as below. Mode of Transportation available Train, Bus, Taxi or own Car. From New Delhi to Haridwar one can go by Bus. Non AirConditioned Buses are easily available from Anand Vihar, Interstate Bus Terminal, but AirConditioned Buses are available on selected times only. You can get a ticket if you reach at least an hour before departure. Volvo Buses are also available from Anand Vihar, ISBT. It takes around six hours from New Delhi to Haridwar by Bus. If you are coming by Air to New Delhi, from Airport to Anand Vihar, ISBT you can use Taxi or Delhi Metro. It takes around an hour from Airport to Anand Vihar, ISBT. We recommend you to travel by an Air Conditioned Bus from New Delhi. Trains are available from New Delhi to Haridwar but reservation should be done well in advance. Journey by Train is the least tiring if we compare by road journey. To check seat availability from Delhi to Haridwar click here. Travelling by a taxi or own vehicle from New Delhi is a good option. But we recommend you to not to take own vehicle beyond Haridwar. The road condition specially in Chamoli District is not so good for own driving. You should prefer a driver from hilly region for this journey. If you want to hire a taxi from New Delhi to Haridwar contact us. You can enjoy evening aarti at Har ki Paudi, Haridwar. Overnight stay in Haridwar. Mode of Transportation available by Road only. From Haridwar to Govindghat by road takes a minimum of 10 to 12 hours. You should start early in the morning not later than 5.30 a.m. to reach in time. Sometimes there may be road blockage due to landslides. So be punctual always. Since July and August are the peak season for Valley of Flowers and it is the time when monsoon is in full swing you may have to face landslides. Kindly hire a taxi from Haridwar to Govindghat as own vehicle is not at all recommended and public transport facility is also not so good and not recommended for such a long journey. You should keep you taxi with you for the whole trip and do not try to save some bucks by sending taxi back when you are away on trekking. By doing this you are putting yourself in the risk of no vehicle while coming back as the taxi may not be able to come to pick you up due to road blockage. Moreover, you may not end up saving anything moneywise. Overnight stay in a pre booked hotel at Govidghat. contact us to book a hotel at Govindghat. Preparations for the next day : Although you are tired by a long journey but we recommend you to divide your luggage into two parts i.e. one part you will be taking on your trek and the other you do not need for the trek. You can leave your luggage at Govindghat either in your hotel or in a clock room at Gurudwara. Mode of Transportation available By trekking, By Pony, By Porter or Palki or Helicopter. 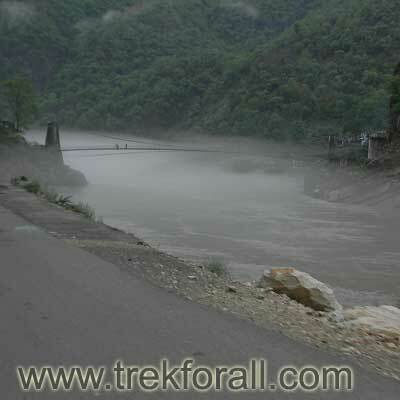 Since you have come for a trekking tour we recommend you to trek from Govindghat to Ghangaria. 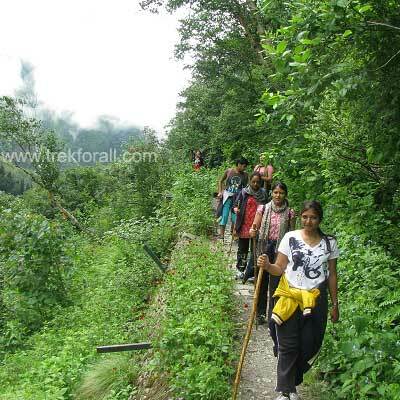 It takes approximately 8 to 10 hours from Govindghat to Ghangaria by trekking. 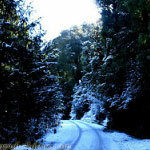 There are several advantages of trekking like you will not miss any beauty of nature. There are many flowers which are available from Govindghat to Ghangaria like Impatiens Devendrae,Polygonum Capitatum, Arisaema Tortuosum, Leycesteria Formosa and many more which can be seen only while trekking. We recommend you to start early to have a luxury of walking slowly and enjoying nature. You should start not later than 7.00 a.m. in the morning. Kindly have your breakfast before starting your trek. If you are having heavy luggage you may go in for a porter. Porters are available @ Rs. 600 800 from Govindghat to Ghangaria. You should always keep your porter with you because you may need anything from your luggage like camera, battery, eatables, umbrella etc. Do not keep anything valuable in your luggage with porter for your own safety and mental peace. By evening reach Ghangaria and stay in pre booked hotel. To book a hotel in Ghangaria kindly contact us. You can also use pony from Govindghat to Ghangaria. It takes approximately 4 hours from Govindghat to Ghangaria by pony. You can use pony to conserve your energy for the next day when you will be trekking to Valley of Flowers. 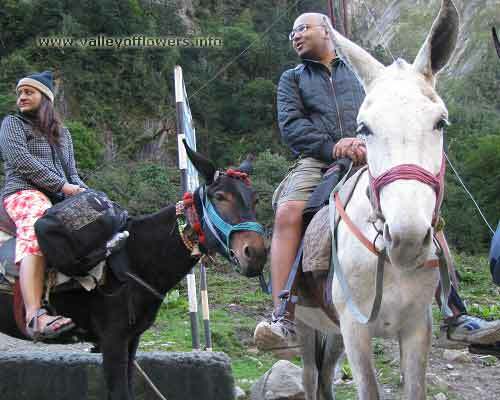 Even using pony is not a luxuries option some people feel trekking is better than pony. Overnight stay in Ghangaria in a prebooked hotel. To book a hotel in Ghangaria kindly contact us. 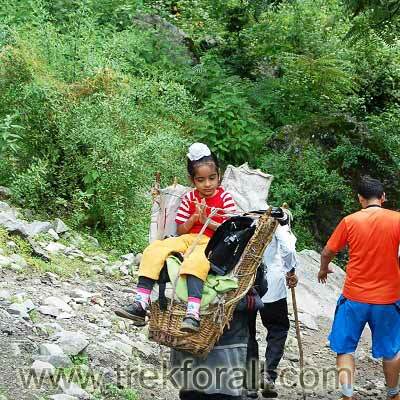 If you are accompanied by children or some senior citizen you can use porter or palki (group of four porters take you as shown in the picture). A single porter can carry a person weighing less than 55 kgs. He carries the person in a basket on his back (you can see in picture). A single porter is to be preferred for a child. 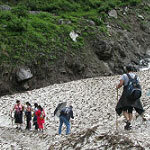 It takes approximately 6 to 8 hours by porters from Govindghat to Ghangaria. Overnight stay in Ghangaria in a prebooked hotel. To book a hotel in Ghangaria kindly contact us. Flying of helicopter is dependent on weather conditions. 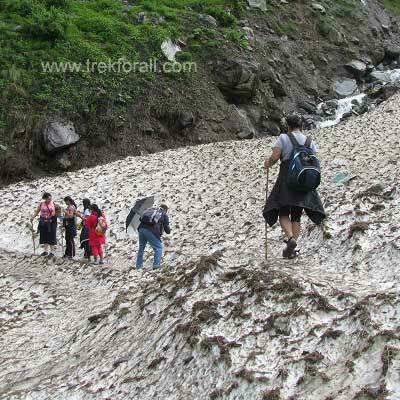 Since the peak season to visit Valley of Flowers is also the peak monsoon season depending on helicopter in your planning should be avoided. In the month of July and August helicopter does not fly for days together. It takes only two minutes from Govindghat to Ghangaria by helicopter. 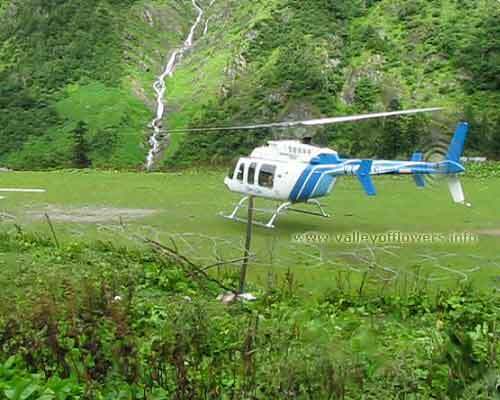 Helicopter drops you at helipad near Ghangaria from where you need to trek upto Ghangaria. From helipad Ghagaria is only at a distance of 1 km. You can get a porter at helipad ground to take your luggage upto Ghangaria. The cost was Rs. 3500/ per person in 2012 for one way trip from Govindghat to Ghangaria. You may expect some increment in coming years. Overnight stay in Ghangaria in a prebooked hotel. To book a hotel in Ghangaria kindly contact us. If you are using pony or helicopter and you reach Ghangaria before 12.00 noon you may try to go to Valley of Flowers. 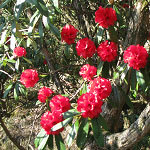 The entry to Valley of Flowers closes at 2.00 p.m. and you should be out of the park before 5.00 p.m. The entry ticket is valid for 3 days. You can cover the first 1 km. inside Valley of Flowers and click all macro photographs of flowers. 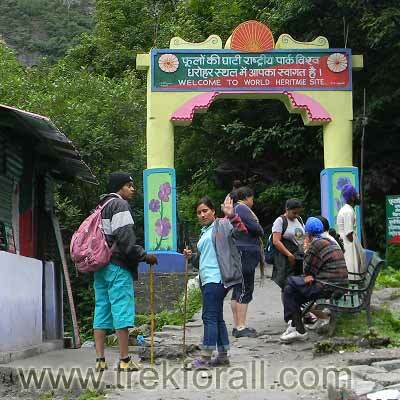 This step will save your time the next day when you will come to Valley of Flowers again. Your chances to reach up to Pushpawati River bed will be higher. Distance One side 6 kms. Mode of Transportation available by Trekking and Porter only. 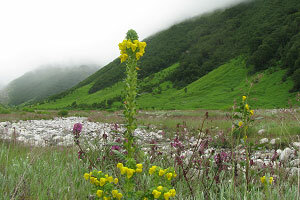 Valley of Flowers is a UNESCO World Heritage Site and is a protected area. Ponies are not allowed inside Valley of Flowers. So you need to trek only and you can use porters for children or elderly people as explained in day 3. Porters go only upto 3 kms. Inside the Valley of Flowers after that you need to go of you own. Today you should get up early in the morning have breakfast and get your packed lunch and reach Valley of Flowers gate by 6.50 a.m. as it opens at 7.00 a.m. As soon as it opens take your ticket and enter the Valley. If you have come to Valley of Flowers on day 3 also you need not take a fresh ticket, just show your ticket to the forest officials and enter. This will save your time in taking the ticket. After entering do not waste lot of time in clicking photographs. We know it is very beautiful even near the entry gate itself and you will be lost in the beauty of nature but it is also true that Valley is at its best near the Pushpawati River bed and you should reach up to that point. 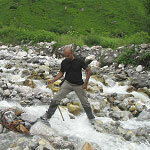 Generally local guides and other tour operators do not take you to the Pushpawati River bed. We are organizing trekking tours to Valley of Flowers and our founder Mr. Devkant Sangwan accompanies all the groups at least on the day when group is going to Valley of Flowers. 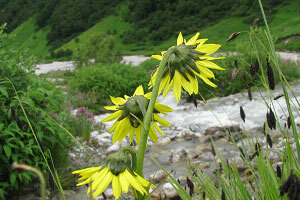 We ensure you to take to the deepest part of the Valley of Flowers. Since you are coming from so far and spending lot of time, energy and money to reach up to Valley of Flowers, you should not be deprived of the actual beauty of the Valley of Flowers. 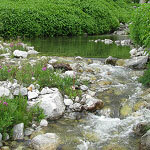 We have observed that almost 95% of the people visiting Valley of Flowers do not reach up to Pushpawati River bed. We feel really sorry about the ignorance of those people. To book a seat in our group kindly contact us. Here are the fixed departures for 2013. 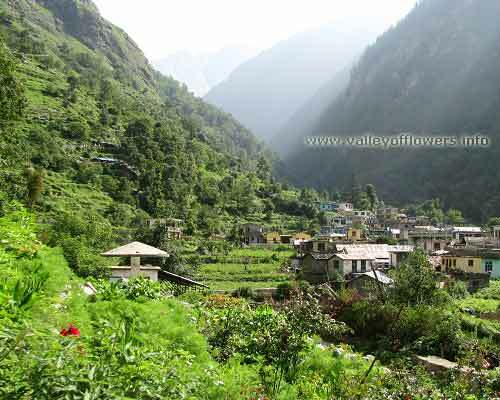 This page explains you how to reach Valley of Flowers from New Delhi. 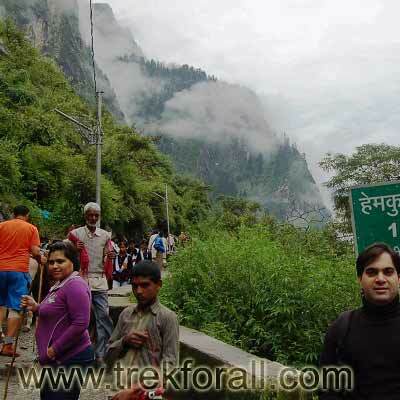 What are the different ways of transport available on the way, what are the different ways available to skip trekking. On which day the ponies and porters available and when the helicopter will be available between Govindghat and Ghangaria. Trying to go with a partner in august.. Is it easiest to fly into Delhi? A detailed itinerary is sent. Please try to reach Dehradoon by air instead of Delhi. Auli and Valley of Flowers.. need some advice. Detailed itineray has been sent to you. Please send me the details of the trip to Valley of Flowers with all type of costing included. I want to book for two person. Please let me know the dates available to begin the trek. Hi guys me along with some of my friends are planning to visit Valley of Flowers in august, can you please send me the itinerary along with the cost. My friend and I would like to travel to the Valley of Flowers this august (6th onwards). Please send the detailed itinerary with costs. A detailed itinerary has been sent to you, kindly check. 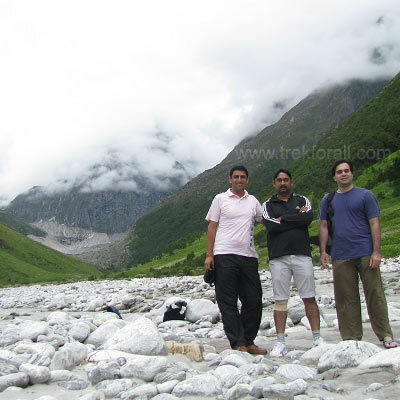 Hi devant, we are 4 members keen to visit Valley of Flowers n nearby places. We can plan a 4 to 5 days trip. We are from chennai. Our itinerary has to be planned from chennai departure on 13 Aug to 17 Aug 2016. 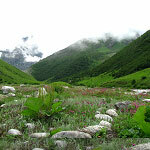 We are six people and planning to visit Valley of Flowers in August 1st or 2nd week. Can you send the detailed itinerary. We have sent you a detailed itinerary, kindly check. There will be very less number of flowers. But Valley of Flowers is better then any other hill station any day. The vehicle should have high ground clearance. We are group of 8 people including 2 kids aged 8 and 12; planning to visit Delhi on 15 Aug and further to valley.please tell us the charges and detailed itinerary. A detailed itinerary is sent to you for the Valley of Flowers trip. Hi guys me along with some of my friends are planning to visit Valley of Flowers in august month, can you please send me the itinerary along with the cost. We have sent you an itinerary along with all information. Please check. Hi, would like to visit in the beginning of August this year. Please mail the schedule details including price. Thanks. A detailed itinerary is already sent to you. Please check. Valley of Flowers, please let us know the cost and trip details. We have mailed you a detailed itinerary along with cost details and all information for the trip. Please check. Hi, would like to visit in the beginning of July this year. Please mail the schedule details including price. Thanks. Valley of Flowers , along with my wife. Enquiry for Vally of flower tour including Hemkunda Saheb on 15th August 2016. 1.) I stay at Kolkata,how to join the team and where? 2.) How many days are require ? 3.) What will be the approx tour cost for two pax ? Please send your valuable suggestions in this regards. Thanking you. Thanks Deepanjan Dutta, A detailed itinerary has been sent to you answering your questions. 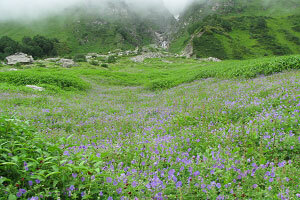 I am planning to visit Valley of FLowers in July. A detailed itinerary with cost will be really helpful. A detailed itinerary mail along with cost and all other information is sent to you. Please check. i m planning this in july with my hubby. Can u mail me how many days required. return plan and total cost of tour. Please send itinerary for Valley of Flowers trek for 20th Sep.
Is there anything planning for Oct as well? I am planning to reach haridwar on 17th sept or I can change my schedule accroing to trip. Please send me details. I am interested in going for the tracking to Valley of Flowers in the sloth around 7-10 aug. Below are few inquiries, if you may please advise. – how much expenditure should i expect for the tracking (including your fee)? – track would be of how many days? – what type of clothing and accessories on must carry? – i live in Delhi, from where can we join the group? We are having one departure starting on 9th August, 2015. You can join us. A detailed itinerary has been sent to you. 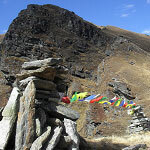 To know what things to carry with you during the trek kindly visit this Things to carry link. I would appreciate if you can send me details of this trip. along with essentials to carry & cost of the trip & other details you would like to provide.I along with my two friends would like to take Sept 13th or Sept 19th tour.Thanks. A detailed itinerary has been sent to you. 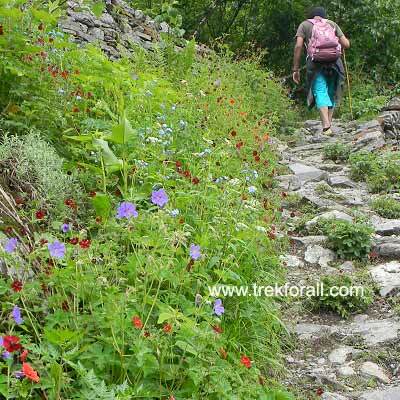 To know the list of things to carry with you visit this Things to carry for Valley of Flowers trek link. Hye im planning to go to Valley of Flowers. 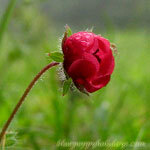 I will reach delhi around 10aug, can u advise about how to go to Valley of Flowers, the itinerary and costing. TQ. Hi Devkant, I’m keen to know when do d rains stop. And, even in September the flowers are in bloom? Also request please send me d costings for this trip. A detailed mail has been sent to you regarding the itinerary you can check and September will be the post monsoon time there. Sky will be clear at that time and flowers will be there. Want to know more about the trek and the costing.I plan to go in first week of August. A detailed itinerary has been sent to you on mail. I want to visit this place around 29thjune..Kindly email me the detailed itinerary along with the costing. Thank you.